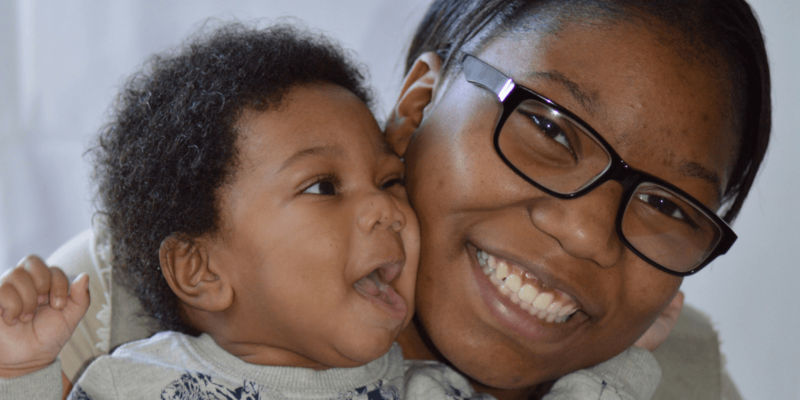 17-year-old mum Richelle talks about how she coped with being pregnant at school, and how she juggled her GCSEs with pregnancy. Being pregnant as a teenager is a difficult task. But being a pregnant teenager in secondary school is much more difficult. When I fell pregnant with my little boy, I was in year 11 and I was preparing for my GCSEs. At the time, I was really focussed on finishing my exams. They were my top priority. I didn’t even think about being pregnant until after the exams finished and then it hit me! I think one of the reasons I was so determined to do well in my exams is because my family were so disappointed that I was pregnant and I needed something to distract me from that. I didn’t tell anyone at school that I was pregnant other than my head of year and one of my closest friends. There was another girl in my year group who was pregnant, and I didn’t like the way that everyone knew about her situation. I preferred to keep this information exclusive to the people who needed to know. Don’t think I was keeping it a secret. I’m just a very private person and the last thing I needed during exams was to have all of this attention on me from my classmates. By the time my GCSEs were finished I was showing and most people suspected that I was pregnant anyway. So when it came to graduation I wore a bodycon dress which confirmed my pregnancy. I was proud to finally show off my baby bump! Read Richelle’s tips on studying during pregnancy. Richelle is one of our Young Parent Ambassadors on our Community: chat, share advice and tell your story with other young mums by joining and chatting!